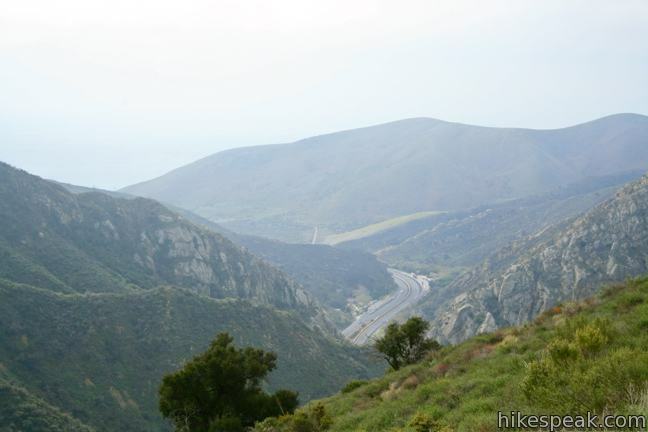 On Tunnel View Trail, you can expect to see exactly what the name advertises, a view of the Gaviota Tunnel crossed by northbound traffic on Highway 101 between Santa Barbara and Buellton. 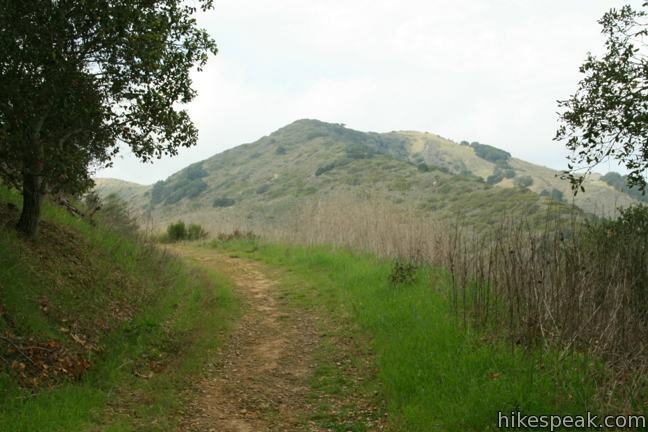 You can also expect this 2.6 mile loop with 600 feet of elevation gain to deliver a rustic hiking experience up a narrow overgrown trail. 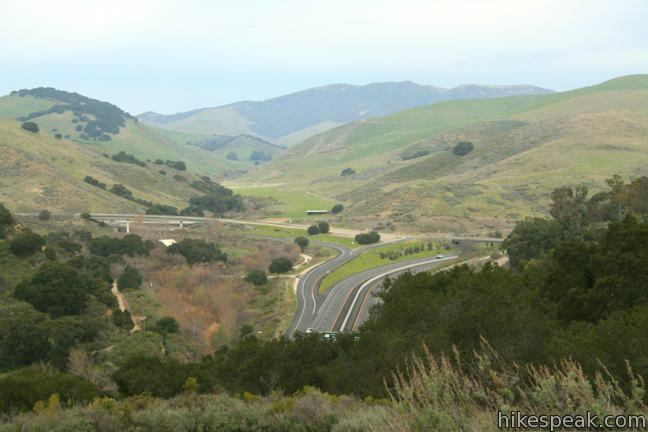 If you could tune out the din of the freeway below, the trail would feel completely remote. 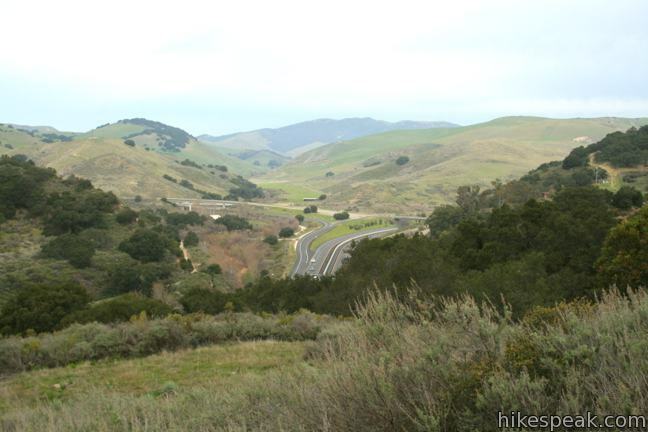 On the Trespass Trail side of the loop, you’ll find easy travel on a wide service road, providing a quick return after you’ve grabbed the coveted view. 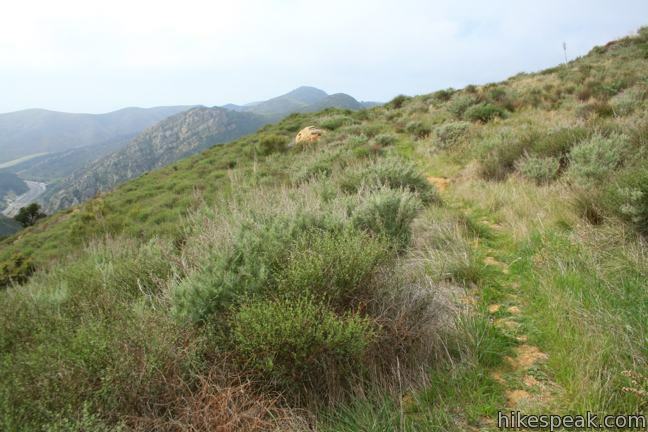 For a longer hike in the park, Trespass Trail can be used to summit Gaviota Peak, the overseer of Gaviota State Park. 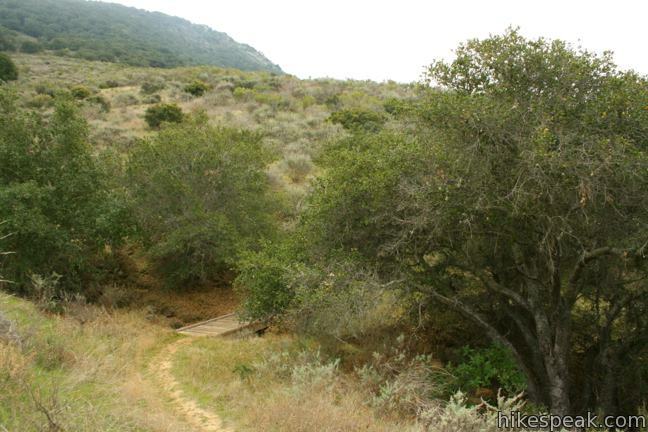 Begin the loop from a trailhead cul-de-sac just off Highway 101 in Gaviota State Park. 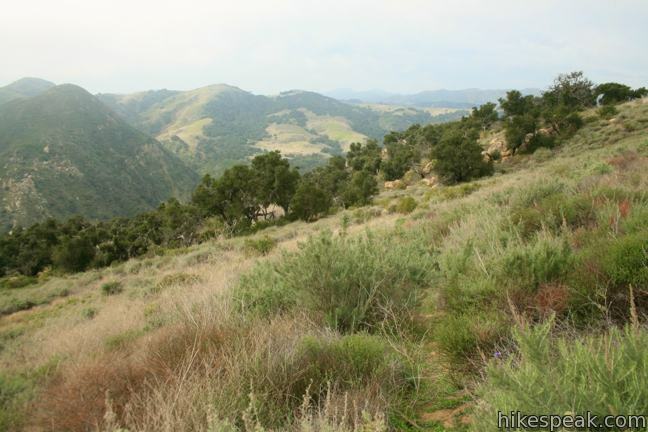 The wide fire road climbs 150 feet over the first quarter mile to a junction with Trespass Trail. 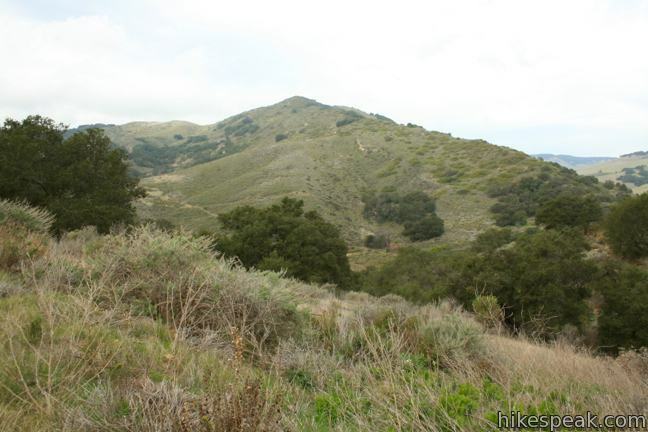 To the left, Gaviota Peak Trail continues toward the summit, quickly passing a turnoff for Gaviota Hot Springs. 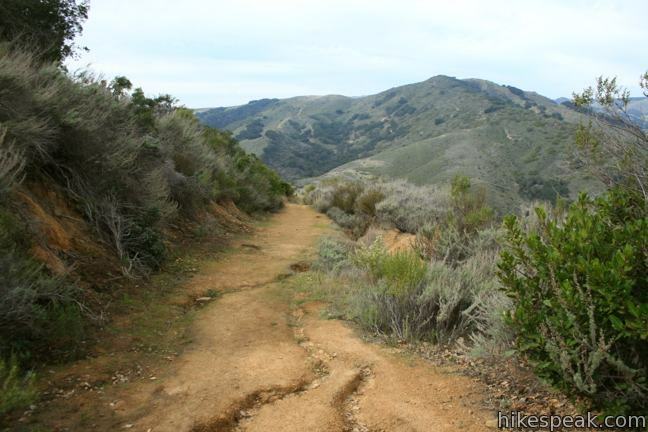 For the Tunnel View and Trespass Trails Loop, turn right on Trespass Trail and hike a tenth of a mile to a less obvious junction. 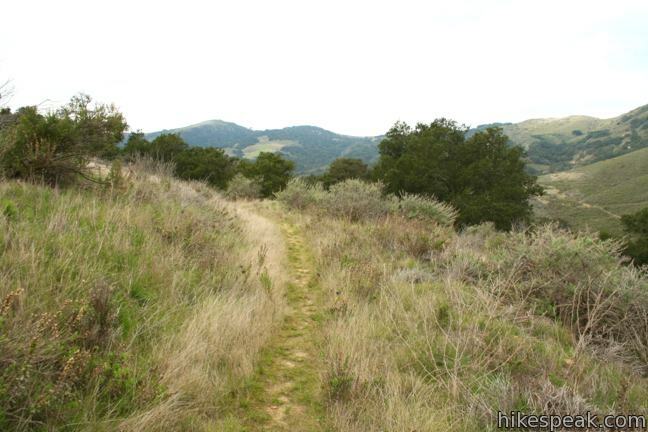 When the trail bends to the left, head straight down a single track breaking off down a grassy hill. 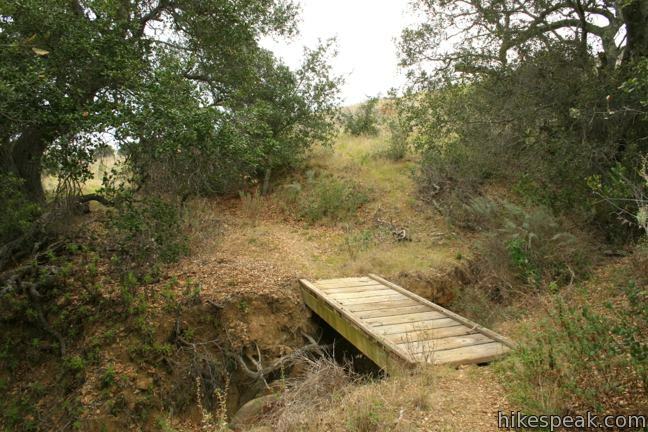 Tunnel View Trail is marked by a sign that simply reads “trail.” Take the grassy path into a depression and through a pair of oak thickets, matched by a pair of wooden footbridges. 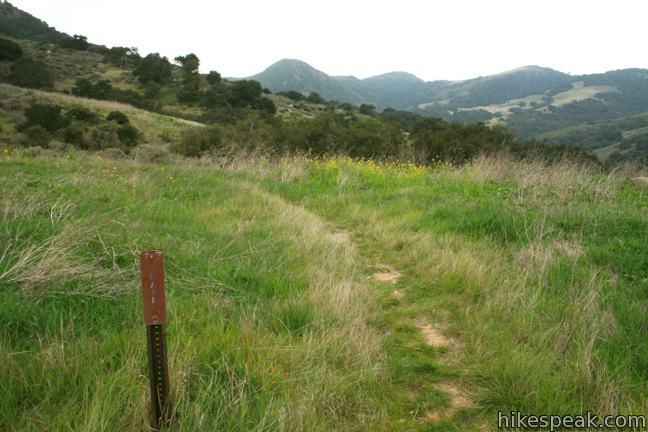 The trail continues across a grassland with northward views toward the Santa Ynez Valley. 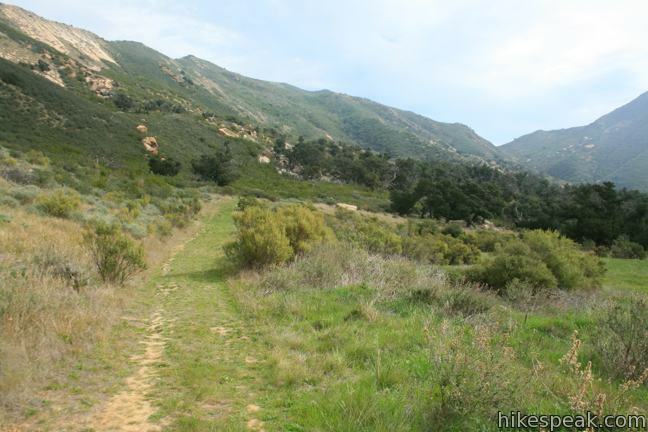 Approximately 0.4 miles from the start of Tunnel View Trail, the single track comes to an unmarked split. 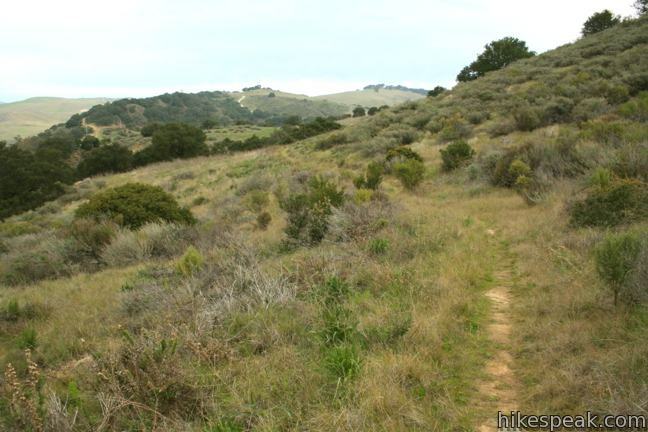 To the right a path heads downhill, reaching Highway 101 after a quarter mile. To continue the loop, turn left heading uphill. 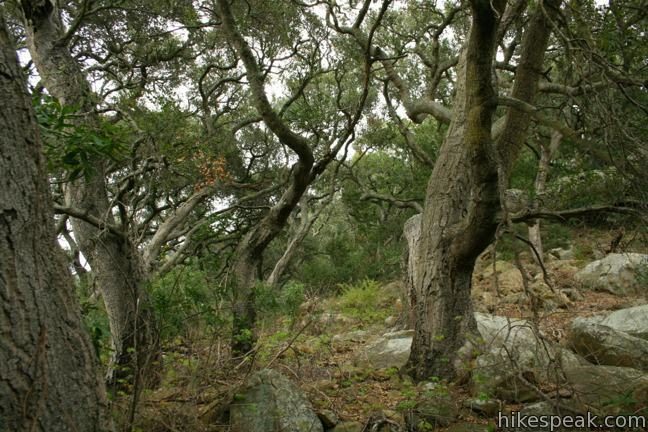 Tunnel View Trail enters an oak forest where poison oak can be spotted underfoot. 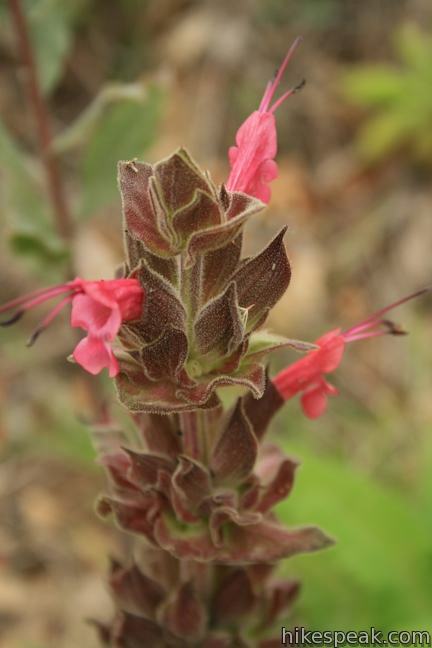 Head through the enchanting forest for 1/8 of a mile and reemerge on a sagebrush slope. 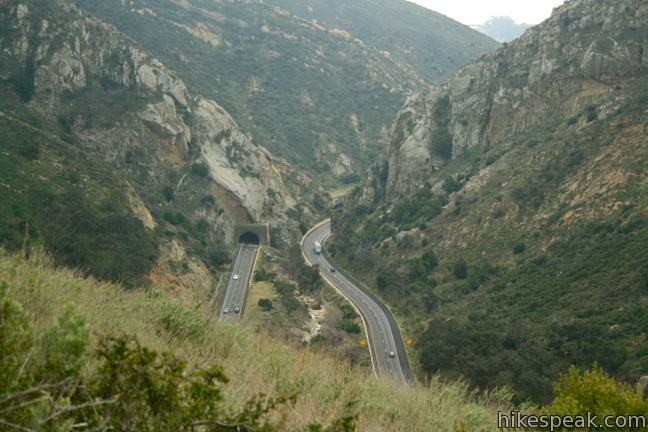 Not long after, the Gaviota Tunnel comes into view. 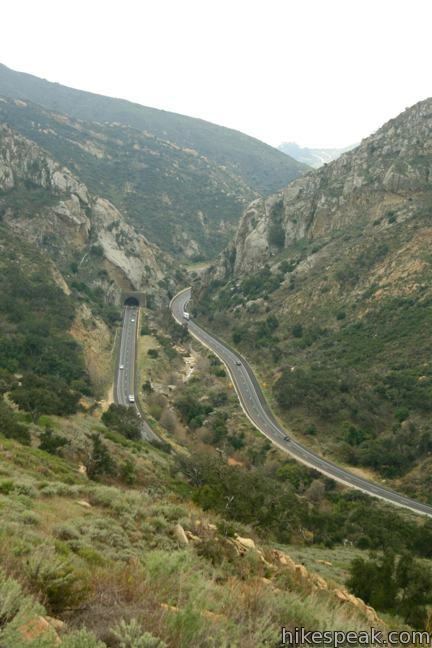 Hundreds of feet below, Highway 101 slips through a deep gash in the Santa Ynez Mountains carved by Gaviota Creek. 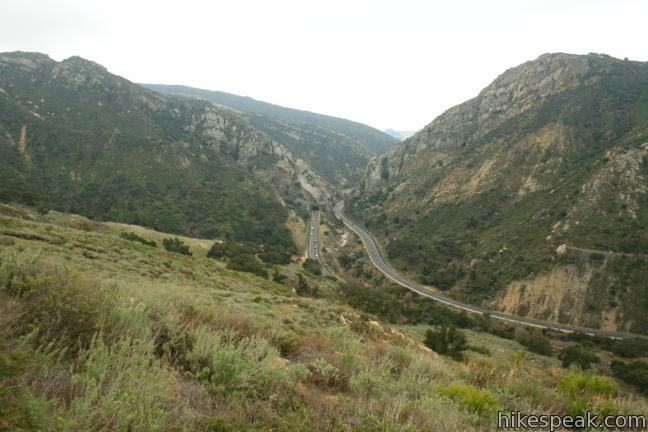 On the other side of the pass, a small piece of the Pacific is also in sight. 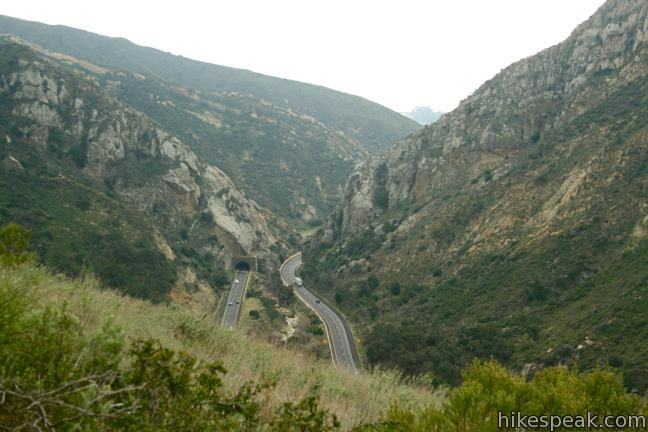 The tunnel view lingers as the trail progresses southward. 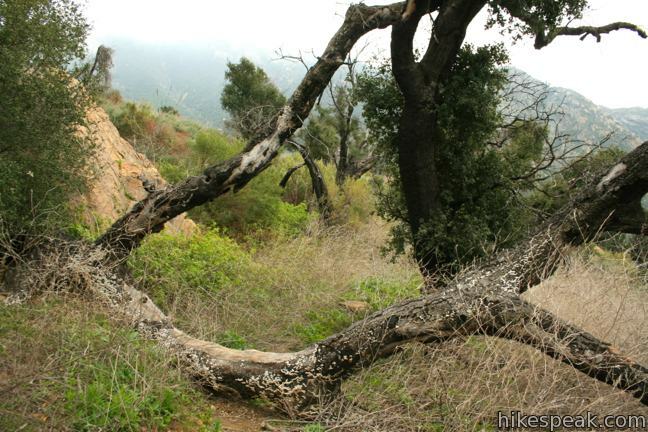 Once the tunnel disappears, the trail heads uphill and becomes faint, but not impossible to follow. 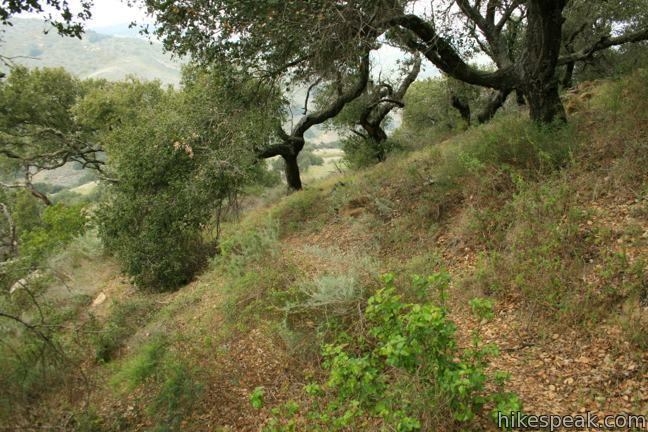 Press on for another quarter mile up an overgrown slope to arrive at a junction with Trespass Trail, 1.45 miles from the start. 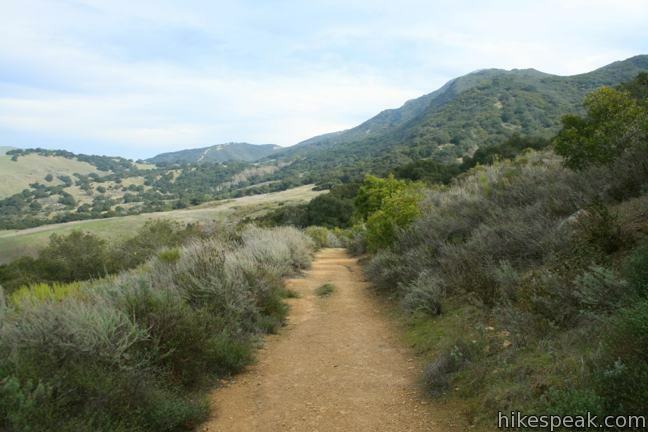 The view up the canyon explored by Trespass Trail may inspire you to ascend to Gaviota Peak, 2.25-miles away. 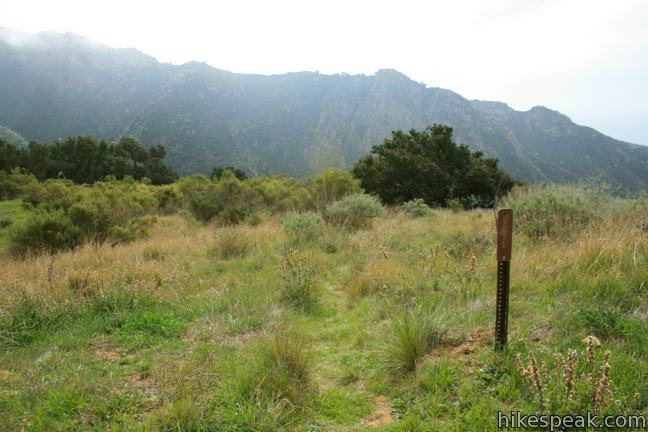 To complete the loop, turn left down Trespass Trail. 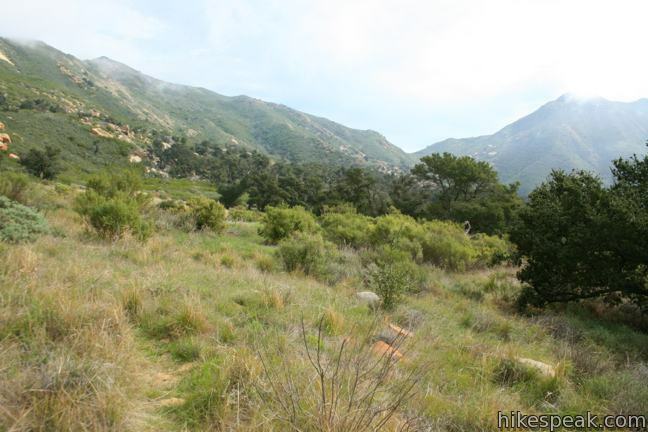 The wide trail heads north gaining a bit more elevation for broad views before heading downhill. 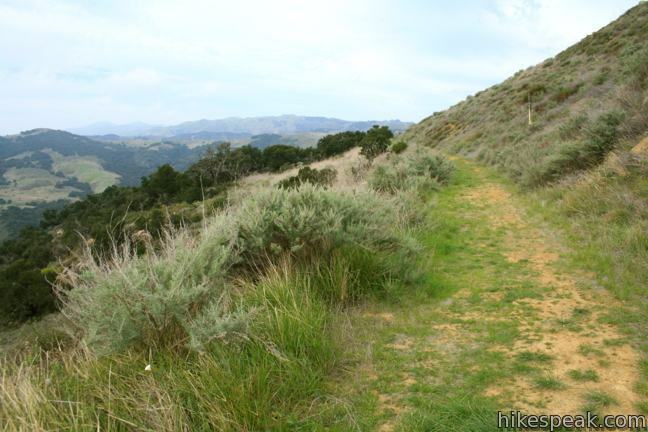 March past the start of Tunnel View Trail after 0.85 miles and continue to the bottom of Trespass Trail. 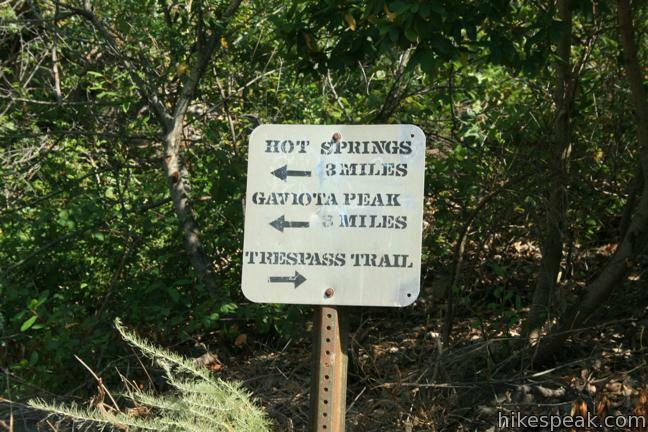 Turn left down Gaviota Peak Trail to return to the trailhead (or head to the right to soak your soar legs in the Gaviota Hot Springs). 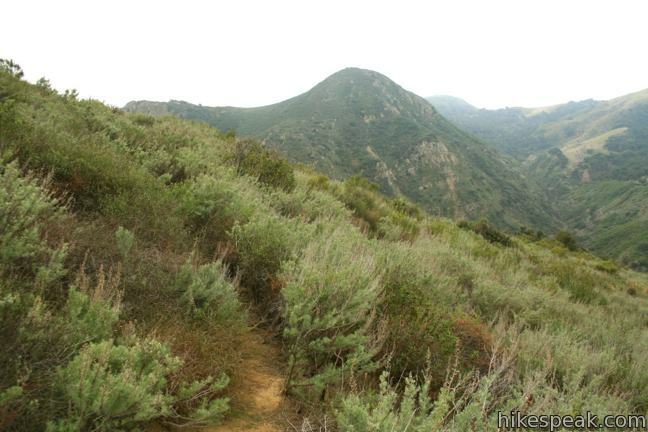 Tunnel View Trail is very narrow and overgrown in places. 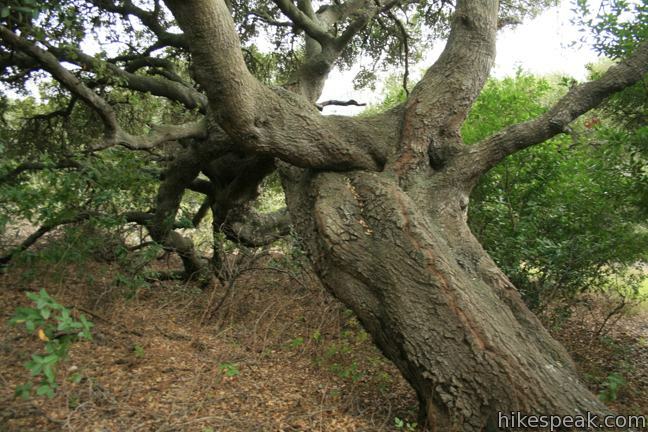 It is lined by patches of poison oak, so long pants are recommended. 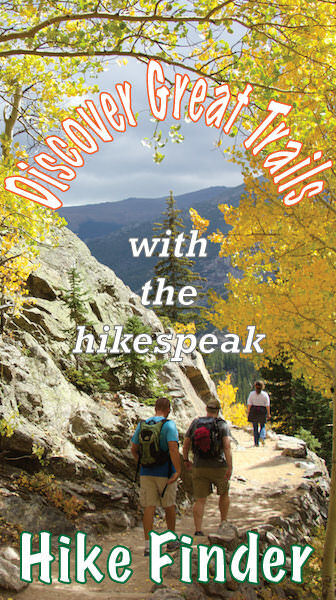 No permit is required to hike Tunnel View and Trespass Trails Loop, but there is a $2 fee to park at the trailhead. These photos were taken in February of 2012. Click to enlarge.